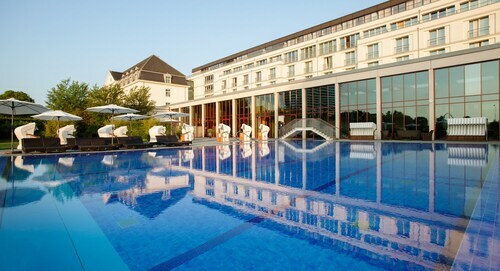 It's easier than ever to save with Travemuende holiday packages on Expedia. You'll have plenty more time to arrange your exciting experiences — and more cash to splash! Wouldn't it be nice to earn savings up to 15%*? Buy your family's travel package on Expedia now! With more than 400 partner airlines and 321,000 worldwide properties, our comprehensive database can help get you where you need to be. You can delay your holiday plans with us because we do not charge cancellation fees for almost all of our reservations. Itinerary looking a little empty? Travemuende holiday all arranged but not sure what to do when you arrive? Let us make it easy. If you've got a curious spirit, it's worth a trip to Seebad Museum. You never know what you will learn here! Still got some time to spare? Over the years, Old Lighthouse Travemuende has reliably guided ships and other vessels through the waters. Explore this timeless structure and discover its many stories. Having a comfortable place to kick your feet up on your cheap holiday or luxury getaway makes a big difference. 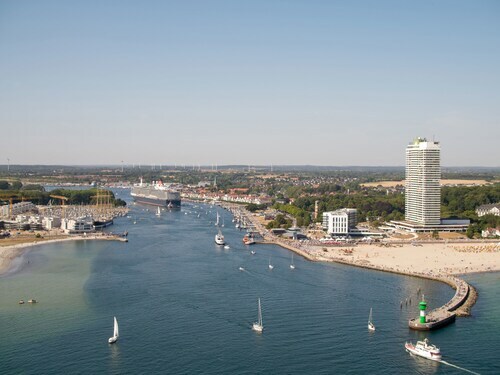 Luckily, you'll discover 8 properties in Travemuende. Book right away and decide on the best one for you! Can't decide where to stay? Don't worry, we've got you covered! Have a look at the A-ROSA Travemünde (Aussenallee 10) and the ATLANTIC Grand Hotel Travemünde (Kaiserallee 2). From the second you finally step off the plane at Hamburg Airport (HAM), you'll know your marvellous trip to Travemuende has well and truly begun! Well, the centre of the neighbourhood is still 40 miles (64 km) away, but near enough. One of the oldest lighthouses on the German Baltic coast is a red-brick beauty containing a maritime history museum and a viewing platform with a panoramic outlook. 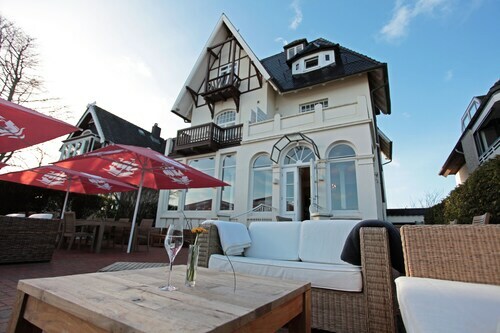 Situated near the beach, this hotel is within a 10-minute walk of Old Lighthouse Travemuende and Viermastbark Passat. Baltic Station Priwall and Seebad Museum are also within 1 mile (2 km). Lübeck-Travemünde Strand Station is 10 minutes by foot and Lübeck Travemünde Harbour Station is 16 minutes. This family-friendly Luebeck hotel is located near the beach, within a 15-minute walk of Old Lighthouse Travemuende and Viermastbark Passat. Seebad Museum and Baltic Station Priwall are also within 1 mile (2 km). Lübeck-Travemünde Strand Station is 5 minutes by foot and Lübeck Travemünde Harbour Station is 14 minutes. Located in Luebeck, this beachfront hotel is in the city centre and within a 10-minute walk of Old Lighthouse Travemuende and Viermastbark Passat. Seebad Museum and Baltic Station Priwall are also within 1 mile (2 km). Lübeck-Travemünde Strand Station is 8 minutes by foot and Lübeck Travemünde Harbour Station is 14 minutes. 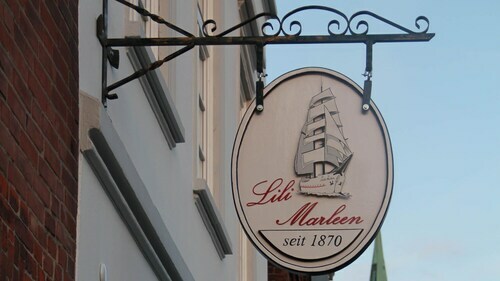 Situated in Luebeck, this hotel is within a 10-minute walk of Old Lighthouse Travemuende and Seebad Museum. Viermastbark Passat and Baltic Station Priwall are also within 1 mile (2 km). Lübeck Travemünde Harbour Station is 6 minutes by foot and Lübeck-Travemünde Strand Station is 14 minutes. Situated in Luebeck, this golf bed & breakfast is within 1 mile (2 km) of Seebad Museum, Old Lighthouse Travemuende and Baltic Station Priwall. Viermastbark Passat and Travemuende Ferry Port are also within 3 miles (5 km). Lübeck Travemünde Harbour Station is only a 5-minute walk and Lübeck-Travemünde Skandinavienkai Station is 15 minutes. 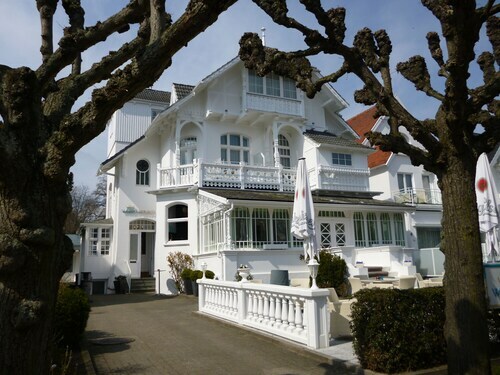 Situated on the beach, this hotel is 0.4 mi (0.7 km) from Old Lighthouse Travemuende, and within 6 mi (10 km) of Travemuende Ferry Port and SEA LIFE Timmendorfer Strand. Priwall Peninsula and Burgtor are also within 12 mi (20 km). Lübeck-Travemünde Strand Station is only a 3-minute walk and Lübeck Travemünde Harbour Station is 17 minutes. 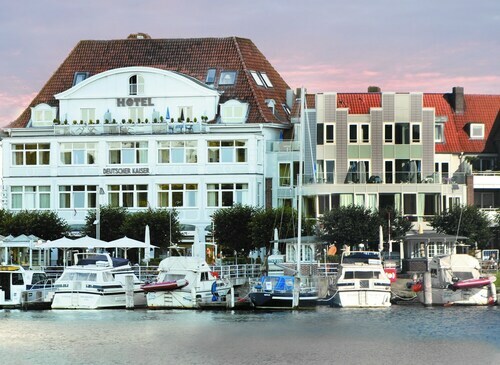 Nestled on the beach, this Luebeck hotel is within 1 mi (2 km) of Old Lighthouse Travemuende, Viermastbark Passat and Seebad Museum. Baltic Station Priwall is 1.5 mi (2.3 km) away. Lübeck-Travemünde Strand Station is 6 minutes by foot and Lübeck Travemünde Harbour Station is 21 minutes. 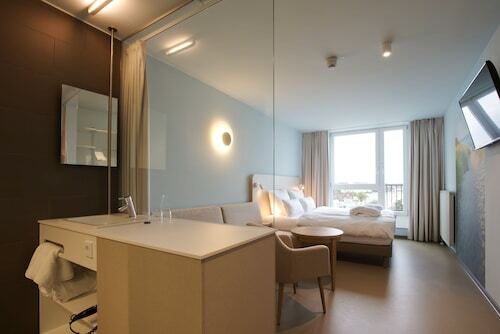 Situated by the sea, this spa hotel is within a 15-minute walk of Old Lighthouse Travemuende and Viermastbark Passat. Seebad Museum and Baltic Station Priwall are also within 2 miles (3 km). Lübeck-Travemünde Strand Station is only a 2-minute walk and Lübeck Travemünde Harbour Station is 17 minutes.